Writing Gothic fiction has so much to do with setting the atmosphere. While using all of the senses are important to creating this, sounds are a powerful emotional vehicle. Not only do they evoke emotion they also can symbolize a character’s internal environment. I’m always challenging myself to find different ways to describe sounds that will bring that sense of foreboding or create a dark atmosphere. While there are certain words that incite an immediate eerie sense, sometimes it can feel clique, overused and readers may be desensitized to them. And meh, is never the reaction I want when writing dreadful things. Now, I’m by no means suggesting to never use these, but if every door creaks and there is a crash after every lightning flash, it might be time to switch it up a bit. 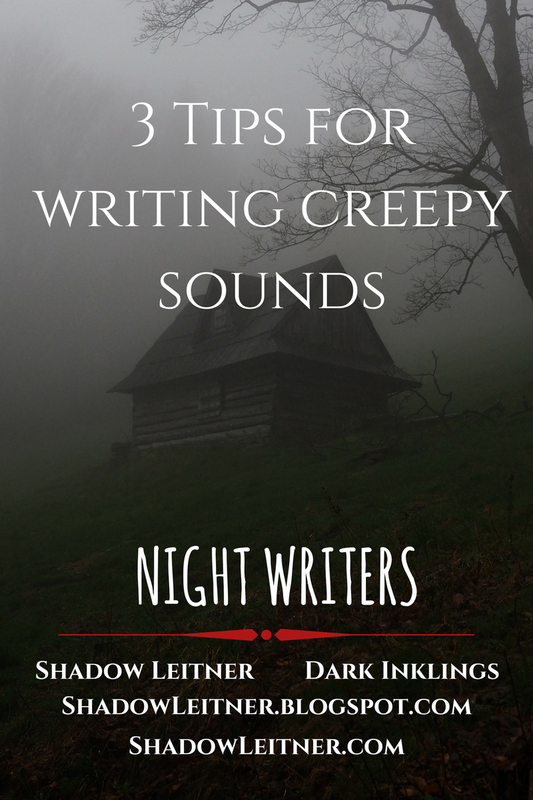 So, here are 3 tips for writing creepy sounds. 1. Add a sound description that one doesn’t normally associate with the thing making the sound. For example, the birds barked from the treeline to warn us of what lay beyond. Or, the fire cackled mocking my attempts to concoct the perfect brew. You get the gist. Providing a sound that isn’t expected naturally puts one at unease, consciously or unconsciously. 2. Use onomatopeia, by writing the sound itself. An example would be writing tick, tock as the sound of a clock. It places the reader deep within a character’s experience. It is also a nice way to zoom in tight on a sound, silencing everything else. This a cinematic approach but can be just as powerful in the written form. 3. Use metaphors and similes. For example, the storm growled where it crouched on the ridge ready to pounce, and the floorboards moaned like an old woman beneath his feet. Sometimes attaching a creepy image to a sound can enhance its spookiness. How do you approach writing eerie sounds? Let me know in the comments. My Haunting Playlist for Writing. Not all writers write to music. I am one that does. Music and sounds are both powerful in conveying emotions and immediately put me in the place I need to be to write a specific scene. 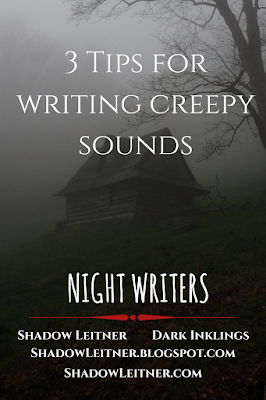 So, I thought I’d share the link to Shadow’s Haunting Playlist on Spotify, my playlist of haunting tunes for writing. Enjoy and let me know if you have other tunes to add. I love to discover new haunting music.